Despite being aware of beauty releases well in advance of their actual debut due to my diligent blog-reading and Youtube-watching, I rarely review products at their peak popularity. This is largely due to my shop-during-sale mentality. 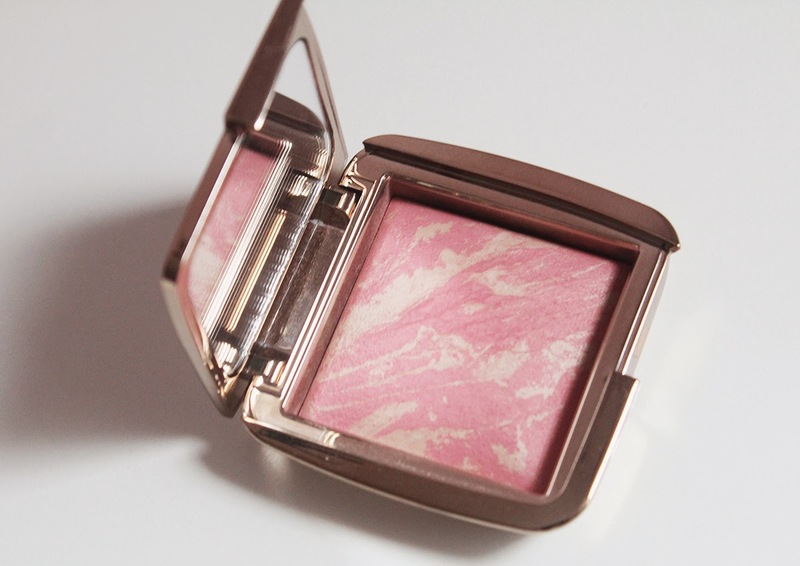 I actually purchased the Hourglass Ambient Lighting Blush in Luminous Flush back in July, used it a few times and totally forgot to feature a proper review and swatches just because everyone else had already talked about it. You've probably already seen a million and one reviews on these marbled beauties but this is my blog and I can share my two cents if I please! 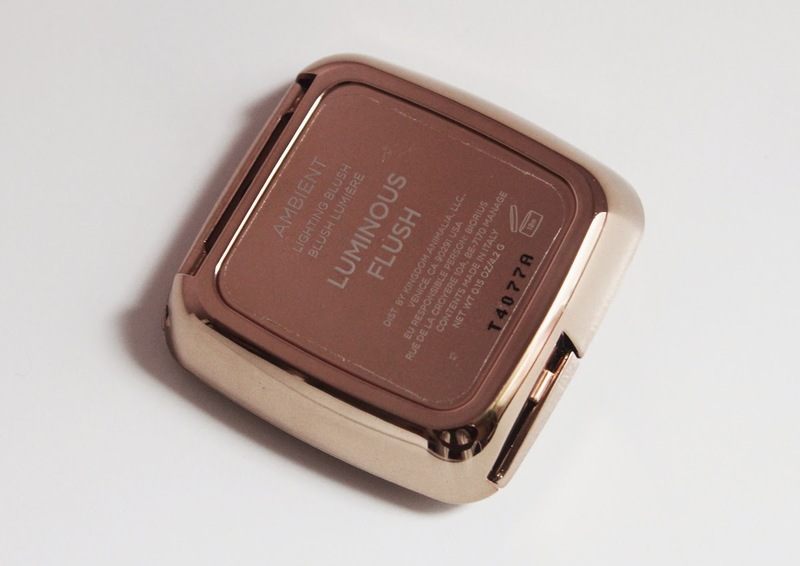 I liked all six of the Ambient Lighting Blush shades but thought Luminous Flush was one of the more eye-catching shades. I honestly wish I could go back and choose a different shade though because Hourglass later launched the Ambient Lighting Blush Palette which contains Luminous Flush. At the moment I refuse to purchase the palette because that would mean acquiring a double of this color. I have my fingers crossed that Hourglass will release additional shades to this line and create a new blush palette! 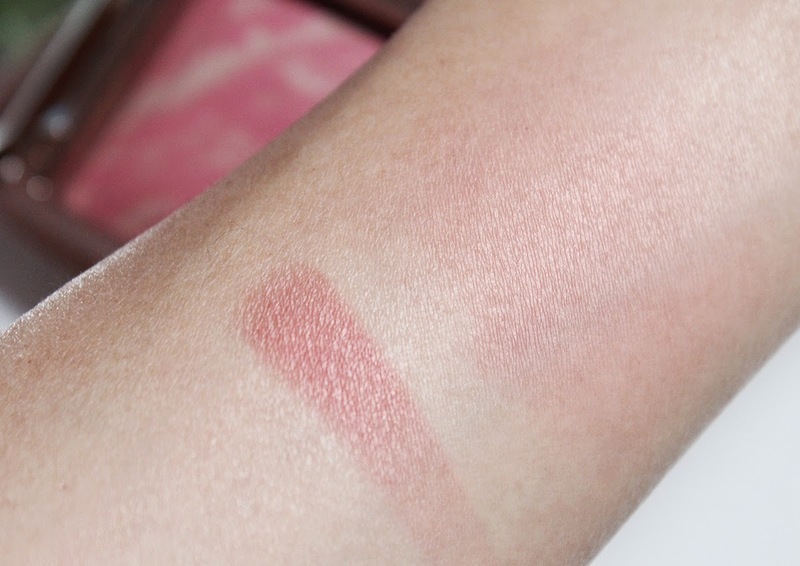 Hourglass did a great job in formulating this blush. The powder is very smooth and fine without being the least bit powdery or chalky. You can certainly build up the color or just dust on a bit for a soft touch of pigment. You can see above a full on swipe as well as a blended out swatch. I know some people were disappointed that these didn't give them as much of a glow as the Ambient Lighting Powders (which I have yet to own) but I'm glad that this blush wasn't noticeably shimmery. Luminous Flush imparts a sheen but nowhere near a frosty finish. All in all, I really like this blush and find it worth the price. In more recent Hourglass news, I was so excited for the launch of the Modernist Eyeshadow Palettes like most of the beauty community and was so disappointed to read overwhelmingly negative reviews. Determined to see the palettes and swatch for myself, I made my way to Sephora this past Sunday and luckily they already had them in stock. The neutral palette, Infinity, was already on my mental wishlist and it swatched super buttery and pigmented. I had no issues with the color payoff and the texture of the shadows was definitely something to marvel at. Yes, there was a bit of excess powder but the colors were perfect. The other palettes were not as nice in my opinion and I felt that they had a bit more powder kick up but the colors are nonetheless gorgeous. I will keep my eyes peeled for good promo codes to purchase the Infinity palette or probably wait until a decent GWP event to splurge. I have had the Ambient Lighting Powder Palette on my wishlist for months. What do you guys think of Hourglass cosmetics? Would love to hear your recommendations besides the Ambient Lighting products!